Quick share of another set of White Christmas cards. This is the Crumb Cake collection for the White Christmas class running this week. 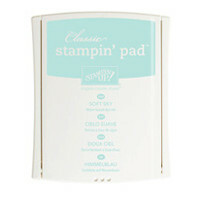 Oh and don’t forget..you can now sign up with Stampin Up! at a 25% discount (£130 product for about £75)and get an extra 5% cashback bonus on your December orders too! For one week only. 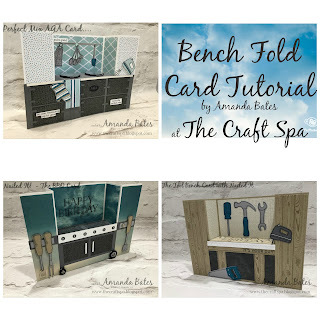 See more details here…..
Back to my creative share… The front card is my favourite! We made this at Team Training back in September. Card designed by the double act of Rebecca Deary & Julie Kettlewell… Thanks again girls…. oh and decorated envelope care of Allie Joliffe…. so triple act in the end!! A bit more decoration added this time. Notice those staples again!!! Two this time… don’t miss this stapler!! And I will be all week….. though cards not just for Christmas here…. 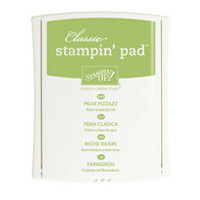 But before I start... thinking of signing up with Stampin Up!... read this latest promotion first! 25% off Starter Kit. Starts tomorrow 25 November. These are some of the cards my ladies will be making at my classes this week….. I think they may be spoilt for choice – but I think they will be happy to all be going home with the White Christmas stamp set!! Add one of the small cards as a mat to a plain Soft Sky 6” card blank….add a stapled banner… and voila… small & simple card now dressed up for more special friends! One not to miss…smaller staple than standard stationery and so much easier to use in the hand …. and at such a low price too!! Only £8.95. I say low price as I have another “Crafters” Handheld small staple system… I think that was 3 times the price! For once forget crafting ( though unmissable for that! )… but think home stationery… your life won’t be the same…. I am loving the White Christmas stamp set…along with the fabulous Holiday Home set of course!! Match made in heaven. So here are the smaller cards individually…. Just the one tree used on all of these cards … by covering the snow line of the stamp to the right of the single tree with a post it note. Inking up the single tree with the Memento black ink pad & then ( do not forget to do this!!) removing the post it note! And then stamping….. This first one is pretty much as the set comes! Soft Sky snowflakes so they are really subtle! Thinking of You wording stamp curved as it is placed on the clear block so that the words bend around the top of the sponged circle. The second one has Memento black snowflakes coloured in with the Soft Sky marker. And the Thinking of You wording is split…again using the post-it note-cover & ink technique described above. Third one is for all occasions…. the set isn’t just for Christmas after all. Again post-it note-cover & ink technique for the wording. And the snow melts and we have grassy fields. Along with flowers ( using the snowflake stamp)… This card was made on Remembrance Day…hence the poppies! PS sponging using Blushing Bride, Soft Sky, Lost Lagoon…… or with Pear Pizzazz for grassy fields….. So here is another version of the Large Square Double Display Card for you. 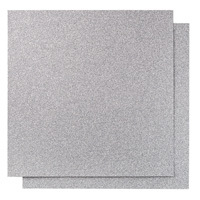 This time the mats on the card front are medium-sized so that the small sheets of the Designer Paper Stacks can be used – such as this All Abloom stack. So 4 1/2” square DSP with a 4 3/4” square Card Mat. Right off to finish off the Small Square Double Display Card Tutorial…. will be posting that next week…..
And I have a 50th card and an 18th card to make and send ….wonder which card format I will use!!! Probably no surprise there….. But before I go…a round up of the Large Square Double Display cards I have shared so far…. Which Frontage do you prefer??? Here is the Imperial Tutorial for the Large Square Double Display Card. I personally find this easier as I am an inches gal……. but for you younger ones or when you are using a trimmer with only a metric cut/vertical blade bar…. the Metric Tutorial was posted here…..
As I said before this is my way of saying A BIG THANK YOU to all of you that regularly follow my blog, who comment and who re-share/pin my projects. Nearly 600 of you following at the last count!!! WOW – that is amazing – you would laugh at how excited I was all those years ago when I first hit 20 followers!!! So THANK YOU EACH AND EVERYONE OF YOU… you honour me with your time… particularly when you comment as that always makes my day! I just added an extra square front to the card (as I do so like my square cards!!) - which has already earnt this card the nickname of The Card With More Frontage!!! And as also promised …..here is another example of a Large Square Double Display card …. I purposefully didn’t add any extra decoration to the front this time as it was for a man! Happy Birthday again Steve… And I am delighted to report that Steve REALLY loved this card!!! He was well WOWED…. So I am definitely making a few more of these… need to do some today actually! Oh and check out the great Larger than Life numbers – my favourite photopolymer alphabet & numbers set…. Come back tomorrow for another example! So here is the Imperial Tutorial…..
(14) Bone Fold. TIP – an extra “crease” will now magically appear in the centre of the top & bottom outer sections – do not worry, you will be covering these! But don’t further crease or bone-fold it!!! (5) Adhere Card Front Sections to front LH & RH sections of Main Card – one at a time lining everything up nicely as you go! TIP – put glue on front sections of Main Card NOT the back of the Card Front Sections!!! Or you will have glue where you don’t want it!!! I would recommend Tombow – I have only used Sticky Strip so you can see where to put the glue in the photo! So there you have it…. I would love to see your makes if you use this…so please remember to link back here…. or send me an email with a photo!! One Week Only! Sign up deal Starts November 25. Ends Dec 2. 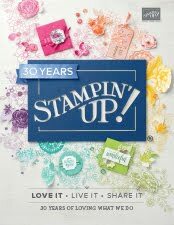 Soon will be a great time to join Stampin’ Up! 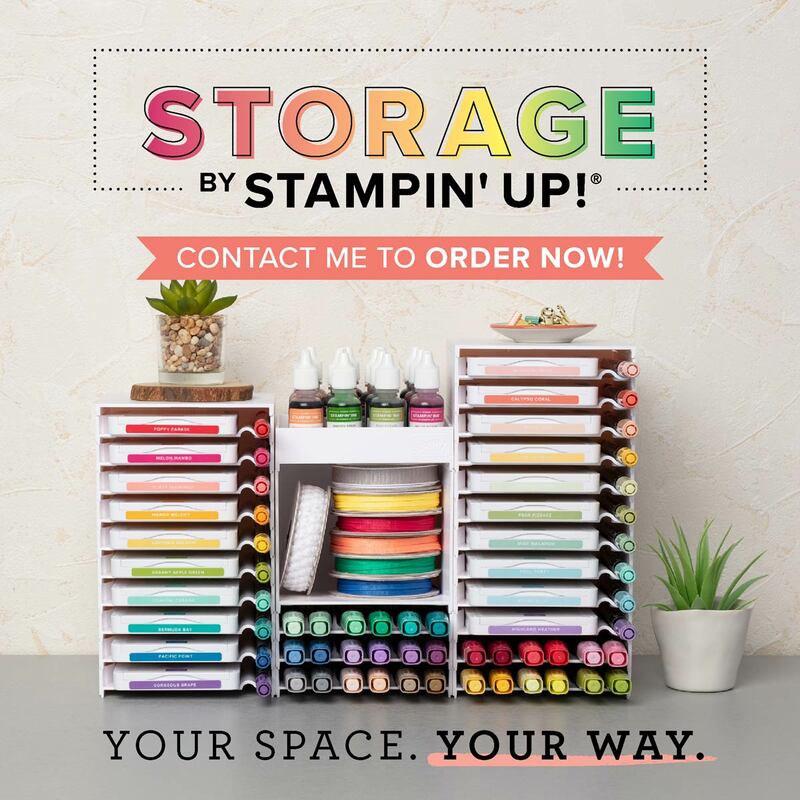 For one week only (25 November – 2 December), sign up with Stampin Up! and get a 25 percent discount on the Starter Kit with all the same great products included! So I reckon that is £175s for just £75. £130 product plus your £45s’ worth of business supplies. In addition you will get a five percent cash back on your commissionable orders placed in December if you have signed up!. And last but not least…. the new 2015 Spring Summer Catalogue & SAB promotion is released to us demos 5th December. So lots of new products to see and order in December! See here for more details on signing up & joining my team. And please do not hesitate to contact me for more information. This is my second post today. Imperial Large Square Double Display Card tutorial will be tomorrow….. as auto-scheduling didn’t work as intended…. Following on from an earlier post – here is the large version of the Box in A Bag we made at an October class. I just changed a couple of things…. Firstly - the handles from ribbon to cardstock to end up with a stiffer handle. And thirdly – a shout out for and thanks to fellow Jems team-mate & friend, Sharon Glynn – the fabulous Tag is a remake of her fabulous Christmas swap at the last Team Training. I just changed the colour of the stars panel and the tree to suit this project…. Thanks again Sharon! And finally – here are the 2 Box in a Bag projects we made – so you can see how much bigger this bag is compared to the “standard”… It may be rather expensive to fill with chocolate – as it is nearly twice the depth too!!! Oh I have more… these are alternative colourways made by Heidi (Soft Sky) and Nicola (Lost Lagoon)…. Funny how they almost look the same colour in the photos….. Hope i get a photo of the Pear Pizzazz one…. But seeing as I was looking for a way to say A BIG THANK YOU to all of you that regularly follow my blog, who comment and who re-share/pin my projects. Nearly 600 of you following at the last count!!! WOW – that is amazing – you would laugh at how excited I was all those years ago when I first hit 20 followers!!! So THANK YOU EACH AND EVERYONE OF YOU… you honour me with your time… particularly when you comment as that always makes my day! And also… because so many of you asked too… so here it is!! A tutorial for the Large Square Double Display Card. Just to say Thanks! But first…. a quick apology for keeping you waiting… I had to tell you to be patient as I worked through a very full calendar of events during the last month. But this time I added an extra square front to the card (as I do so like my square cards!!) - which has already earnt this card the nickname of The Card With More Frontage!!! - and I converted Paola’s imperial template to metric to suit our new Stampin Up! trimmer….. but don’t worry I will be back with a full Imperial Tutorial tomorrow ( as I am still an inches gal)….. and some more Large Square Double Display card options…. (2) Cut from 2.5 to 12.5cm. (5) Adhere Card Front Sections to front LH & RH sections of Main Card – one at a time lining everything up nicely as you go! TIP – put glue on front sections of Main Card NOT the back of the Card Front Sections!!! Or you will have glue where you don’t want it!!! (1) The rest is just gluing & sticking! So there you have it…. I would love to see your makes if you use this…so please remember to link back here….